18. Teamwork: Team work means a group of persons joining together to complete a process from A to Z in specified manner as is required to be done. Every voluminous work requires a group of personnel to perform certain actions for its successful completion. Unless there is coordinated action to function as a team, the process will not get completed in an ideal fashion. Every team member is responsible for a set of action. For example in bigger presses the action of personnel for on time procurement, periodical maintenance, breakdown maintenance, oiling, greasing of machines, production related personnel in various sections, supervisory personnel, managerial personnel etc have to adhere to certain schedules and complete their work in the manner required. In addition to the activities Machines start time, Machine stop time, cleaning of rollers etc will have to be properly monitored, more efforts to control of spoilage, waste management etc are to be carried out. A clear system of signals should be developed to coordinate the press crew on various operations. Safety norms to avoid accidents are to be followed and monitored. Each and every crew members of the team must be educated to understand the signals to carry out the operations in a smooth manner. Therefore the personnel working in all the areas will have to function as a unified team to successfully complete each and every work to ensure accident free environment and to make the press profit oriented which will be beneficial to both the personnel as well as the press. The coordinated activities as above by the press force is called Team work. 19. Thin spacing: In typographic operation, some times it may so happen that inspite of attempts to justify the typed or composed text matter, some of the end to end lines will not adhere to the adjustment and show thin gap at the end. 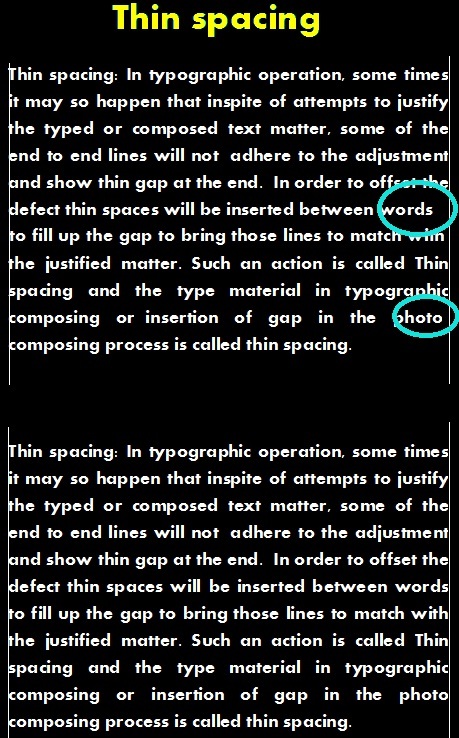 In order to offset the defect, thin spaces will be inserted between words to fill up the gap to bring all the lines justified to proper length. 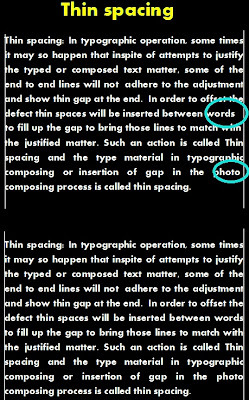 Such an action is called Thin spacing in typographic composing and similarly the insertion of gap in the photo composing process to justify the line is called thin spacing. 20. Tonal Compression : The process of reducing the tonal range of the original image from high dynamic range to limited dynamic range is called Tonal compression. This is done for two reasons. One to improve reproduction in printing and to enhance the color effect and the other for conserving space in the computers files in desk top publishing. When the tone compression is carried out, one can notice that the appearance of the image is not drastically altered except showing some variation in the color densities. The tonal compressed images are necessary in the transparencies and color originals that are needed for projections through projectors because the standard LCD monitors and Projectors do not reproduce the full range of color intensities due to medium focal length lenses fitted on them. If you see the two images reproduced below you can observe that the image without tonal compression showed the size as 4.05 KB while the same image with tonal compression is 3.60 KB and there has been no noticeable change seen in both the images. 21. 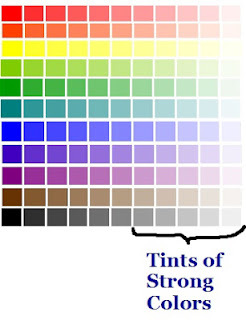 Tint : Reducing the density of a colour to print it in lighter shade is called the Tint. This is achieved by adding white color with the strong color. 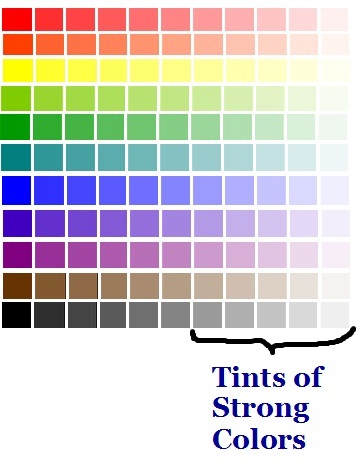 The tint can be in the form of solids or very thin screen dots. The tints are generally printed as background color so that the darker color when printed on it will have contrast effect. 22. Tail edge: The back edge of the sheet of paper . The front edge of the paper is the one which is gripped by the grippers before entering into the printing unit and therefore is called the gripper edge . 23.Transparency: Positive version photographic images on film which may be either in black and white or in color is called Transparency film. Such colored transparencies are sometimes given as colored original to reproduce in the job given to the presses. The Transparencies are used as transmission color originals and color separated through the process cameras for making negatives or positives. Similarly the transparent films with images or text matter used in seminars and conferences to project the same to the audiences are also called Transparencies. Such images on the Transparencies can be wiped out with some chemical solution for re use. 24. Tinting Medium: Tinting Medium is semi transparent milk white ink which is added with the ink to slightly reduce the strength (shade) while running on the machine. This can not be used like white ink to alter the strength of the color, but it reduces the color strength to some degree and make the light color ink flow more freely. Some times the printers mix pigments in the tinting medium to make their own shade of inks for some jobs. 25. Titanium dioxide : Called Tio2 this is one of the naturally available mineral used as white pigments to make pure white printing inks and paints. This is also used as white pigment while making other inks. There are two grades of Tio2. They are called Rutile grade produced by chloride process, and the other Anatase grade produced by sulphate process. 26. Transparent ink: All the three or four color process inks used in printing are called transparent inks because they do not conceal the colors that lay below them to show multi color effect. If they conceal the colors that lay below them, then the resultant color will give secondary and tertiary color effect instead of multi color effect. 27. 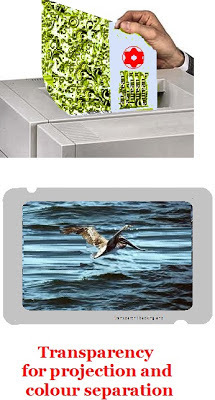 Tri metal plates: The Tri metal plates are meant for Offset Printing and are prepared with Copper for image areas and any other two metals out of Chromium, Nickel, Aluminium or Stainless Steel for non image areas. A metal plate prepared with two other metals by electroforming process is coated with light sensitive material by Deep etch process and exposed through the positive to create the image for Offset printing. Out of the three metals, the copper will form the middle metal. The top layer of the metal will be etched to bare the next metal Copper which is ink receptive. The Copper coating sits on the third metal. 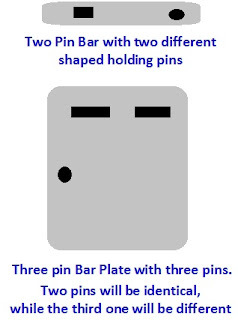 The Tri metal plates are meant for long run copies unlike Surface processed Plates or Deep etched Alluminium or zinc plates which can not give as much copies as the Tri metal plate produces. 28. Tung Oil: Tung Oil, also known as China wood oil is used in the ink making process. This acts as pigment carrying vehicle and has excellent drying properties . 29. 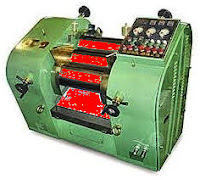 Three Roll Mill: A machine that is used for fine grinding of the ink in the Ink factories. It consist of three heavy cylindrical rollers or Cylinders that is run in varying speed to grind the ink slurry containing Pigments, Vehicles and Driers to ensure that all the components get well mixed to become usable ink on machine. In the mixture of Pigment-vehicle- drier ,the pigments will have to be crushed well to disperse in the milled ink failing which the inks will not flow on rollers and give even print. This is also called Triple roll mill. 30. Two sheet detector: This is nothing but double sheet detector fitted on all the printing machines in the feeder units to ensure that when more than two sheets try to enter into the feed board, the feeder operation will get tripped. The two sheet detector is set in such a manner that on sheet fed machines when two sheets enter the feed board, the feeder will trip. On continuous feeder or stream feeder, since the sheets enter into the feed board one below other by overlap at a specified distance, when more than two sheets try to travel, the feeder will trip. 31. Two or Three Pin Register: This is a special apparatus to register the negatives and positives in multi color separation process. In multi color separation, some times the negatives and positives may be required to be registered with one other to make color corrected negatives or positives in the process called masking method of color correction. In order to ensure that all the negatives and positives lay in perfect register in many such steps, they are processed by first pinning them on a Two or three pin register bars before exposure is made. This will eliminate manually registering the negatives or positives accurately using register marks. Manually registering is a time consuming process and even slight mistake in perfect register will not produce desired result. However by using the Two or three pin register bars the negatives and positives can be perfectly kept in registered position even in dark room while processing the films.The three pin bar is used for positioning the films on the vacuum back of the camera while the two pins are used for contact work on contact printing down frames and enlargers.